There are lots of good things going on at the pool! First, our newly renovated restrooms opened officially this morning. 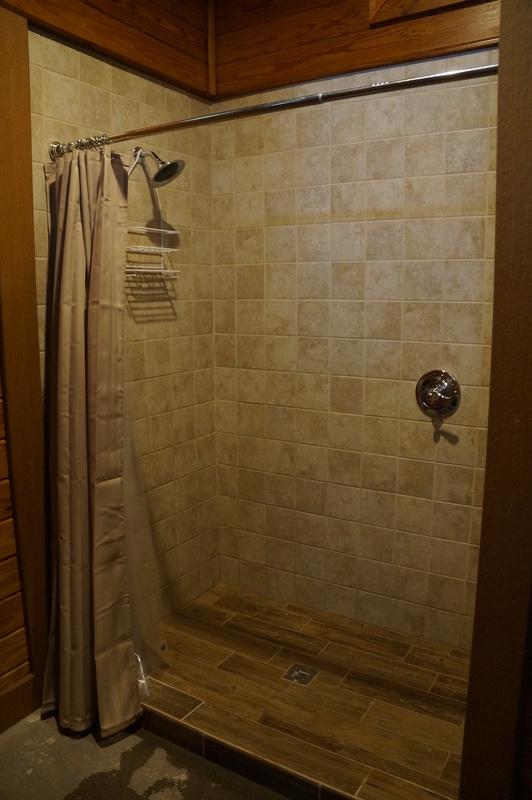 Improvements included wood refinishing, hardware replacement, and replacement of sinks, showers, toilets and tile. 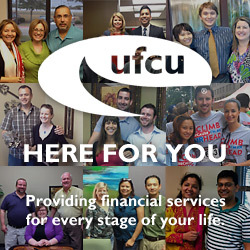 Check out the attached photos! Second, the pool will be open for use beginning at 6 am this Monday, Labor Day (9/2) instead of closed for its usual cleaning. The weather forecast looks good for a full day of swimming! Please remember also that 9/2 is the last day of lifeguard coverage for the season. The pool will remain open during September and October, but please be considerate and keep the pool area clean by discarding your trash and resetting pool furniture before you leave. The pool restroom renovation work, originally scheduled to finish on Friday, 8/23, has been extended through Tuesday, 8/27/13, to allow sufficient time for the work to be fully completed. 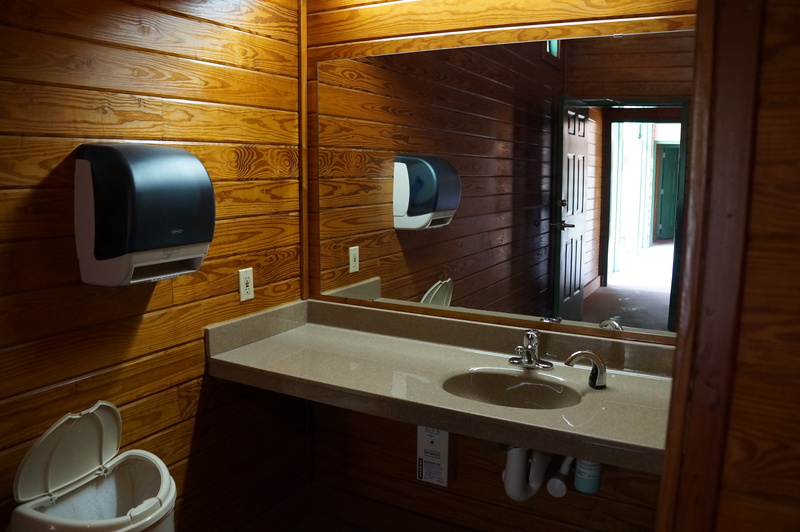 We appreciate your patience during this extended process, and hope that you will enjoy the new and improved restroom facilities when they open later this month! Join us for the second “Super Saturday at the Pool” event at 10 am on Saturday, August 31. “Ms. Lisa” Baker, who makes her home in Dripping Springs, will share interactive stories (usually involving animals) and funny puppet stories/monologues as well as getting kids and parents involved in active movement songs in between stories to “get their wiggles out”. Lisa has her Master’s Degree in Elementary Education, taught for 8 years, and has successfully entertained children and parents at bookstores, schools, churches, libraries, private parties/events, and festivals for the past 17 years here in Austin and in the Hill Country. Don’t miss this fun way to kick off your Labor Day weekend! See you there! Here we are in the midst of another Texas summer! Your Scofield Residential Owners Association (ROA) board of directors and volunteers have been working hard to maintain and enhance our neighborhood community! Stay tuned to our website for additional details and other news. Below are specific items we are working on to sustain your property values through our joint community property within the neighborhood. We ask for your assistance on some of these items. Please do your part by maintaining your own property so we can all live in a safe and appealing environment. 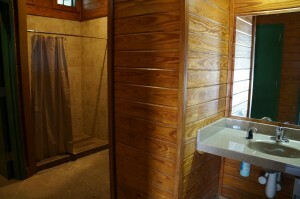 Pool Restroom Remodel: A contractor has begun to remodel the restrooms at the pool. An outside shower and resurfacing the pool entry surface is also included in the project. Construction is scheduled to be completed by October 1st. Homeless/Transients: The ROA is working on removing the homeless people that are frequenting the corner of Parmer and Metric (behind the short tower ) and also from adjacent vacant property. Updated Pool Rules: Please see the attached abbreviated version of the updated pool rules. Don’t let anyone into the pool area if they don’t have a pool card. The pool rules in their entirety are posted at the pool and also on this website. 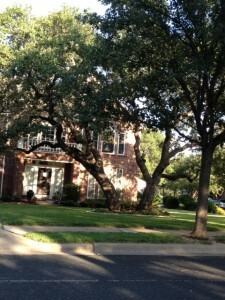 Tree Trimming: Be sure to keep the trees trimmed on your property. Many properties have trouble growing grass because their trees need to be thinned out. Fence Policy/Fence repair/replacement: The ROA has asked our attorney to create a new fence policy relating to the responsibility of each neighbor to assist in the repair/replacement of joint fencing. Per the new policy, “when a fence acts as a boundary fence that separates two owners’ yards, the owners share a joint duty to maintain, replace, and repair the fence such that it remains in good, neat, and attractive condition, and such owners are equally responsible for all costs of maintenance. Any fence separating two owners’ yards is presumed to be a boundary fence unless acceptable proof (in the form of a survey) is submitted and confirmed by the board that the fence is wholly situated on only one lot.” This new policy has been put in place to help homeowners understand their legal responsibilities relating to joint fencing. The ROA management company will enforce fence issues by working individually with the homeowners affected. Neighborhood Watch: The ROA is still looking for a volunteer to lead our neighborhood watch program. If interested, please contact me at the email address at the bottom of this letter. Please take the time to meet your neighbors and be on the lookout for suspicious activities. When you see something suspicious call the police. The Scofield Farms Instant Communicator group is ready for your participation and input! The Instant Communicator, created in 2012, is a means of quickly disseminating important news regarding situations currently occurring (such as crimes in progress, suspicious activity, or severe weather warnings) to our community via a smart phone app or text message. Please visit “General Info/FAQ” on the scofieldfarms.org forum for additional information about joining the Instant Communicator group. Community website, Forum and SF Instant Communicator –The scofieldfarms.org website, the official online communication channel of the Scofield Farms ROA, continues to be improved and expanded to better serve residents. Check out the website to find out the latest news about current events in the neighborhood, as well as access important documents and information. Architectural Control Committee (ACC) approvals – Your property covenants require you to have written approval from the ROA’s ACC prior to modifications to your property. Examples of items you need ACC approval for include, but are not limited to, building a shed, deck, redesigning landscape or installing nonstandard fencing, and changing the color of your home’s exterior paint. The process is fast and easy to submit for review. There is no valid reason not to comply. This is another way to make sure the neighborhood is kept nice. In several recent cases, our ACC volunteers have used their expertise to alert applicants to problems in their contractor’s proposal. When in doubt – please ask for guidance from our property manager, Sarah DeMattos at CMA, 512-339-6962, or sarahdm@cmaaustin.com to avoid enforcement and fines. Board Update – As a reminder to the neighborhood residents, the officers for 2013-14 are as follows: President – Paul Maine, Vice President – Deborah Southerland, Secretary – Barton Layne, Treasurer – Mimi Rhea, Director-at-Large – Emmett Bills. The Scofield Farms ROA email newsletter is used several times a year to distribute information about Board of Directors meetings and agendas. To be added to the list, either join the scofieldfarms.org forum or sign up for the newsletter using the “Sign up for our Email Newsletter” form on the scofieldfarms.org website. Please feel free to email webmaster@scofieldfarms.org with any questions. Each of these deserving winners has been awarded a $50 Lowe’s gift card, as well as the honor of displaying the prestigious “Yard of the Month” sign in their yards in August. Our overall top overall honoree in the neighborhood was 12901 Tapadero Drive. 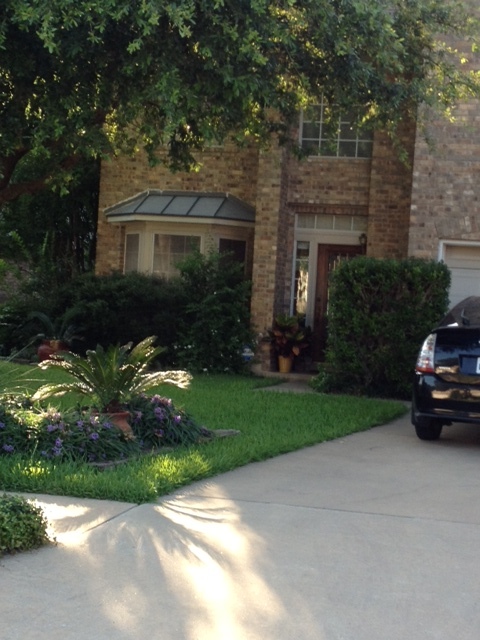 This lovely yard was awarded a $75 Lowe’s gift card. 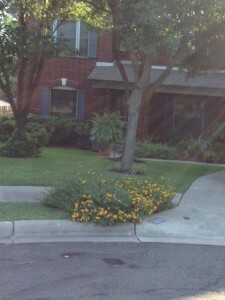 Thank you so much for your attention to landscaping this spring and summer. We know that it is difficult with our continued drought situation, and we appreciate your efforts! The men’s and women’s restrooms at the pool are scheduled to undergo much-needed renovations starting Tuesday, August 6. 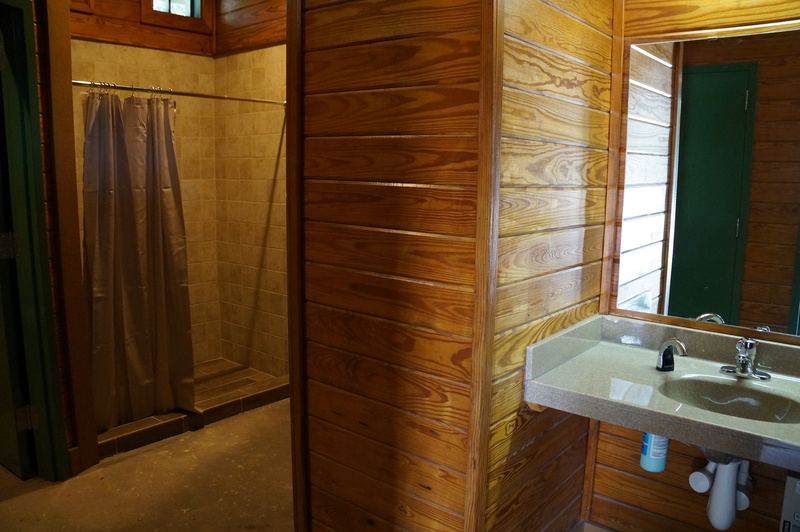 The work will include installation of new plumbing, sinks, toilets, lighting, and tile along with other updates. 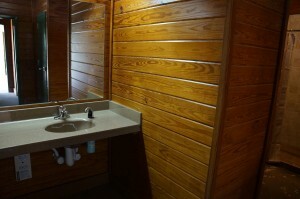 In order to accomplish this work, it will be necessary for both restrooms to be closed through Friday, August 23. Portable men’s and women’s toilets along with hand sanitizing facilities will be provided while the restrooms are closed. We thank you for your patience during this process, and will share any scheduling updates with the neighborhood, if necessary.